Eleven children represented Rwanda at the ongoing International Climate Change Conference for Children in Uganda. The conference brought together 300 children delegates from over 34 schools representing different countries across the globe. Led by the Rwanda little Hands Go Green Ambassador; Hardi Niyoyita from Mother Mary International School Kibagabaga, who the pre-Conference Competition carried out at Excella School on the 25th March, emerged the winner. “I am learning lot from the ongoing conference. I now know that change starts with one person and it eventually spreads to other parts. Together with my friends we will apply all that we are learning to contribute to contribute to the fight against climate change,” said Niyoyita before the event ended. The conference was organized by Little Hands Go Green aims to teach children the importance of climate conservation with an emphasis on encouraging children to plant fruit trees. 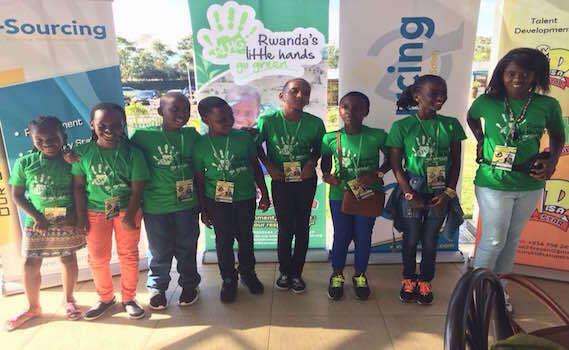 “One of the objectives of the event is to instill ownership of the environment to our children and teach them how it affects the climate change,” says Steven Baguma, organizer of Rwanda Little Hands Go Green. The initiative has so far carried out tree planting exercises in different parts of Kigali. Meanwhile, pupils from both local and international schools also discussed what they understand about climate and to express their views on different topics concerning environment through skits, songs, poems and exhibitions. Gasana Mutesi, a mother to one of the participants, Ganza David (10 years of age) expressed her excitement and support for her son and said that the event not only educates the children but also their families. 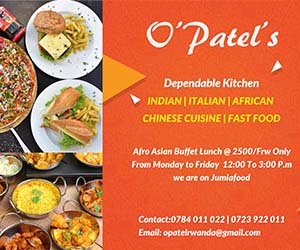 “When Ganza joined the competition, he would share with the whole family what he learnt and eventually we all grew interest and the conversation at home was about climate change,” said Gasana. She further encouraged other parents to support their children in what they want to do and guide them in the right path. “We as parents need to open up and know that the world has become a global village. We should give our children space for them to explore, learn and shape their future while guiding them to the right path,” she said.